The image of a young girl, a scarecrow, a tin man and a lion gamboling merrily along the yellow brick road has been immortalized by the 1939 MGM musical ‘The Wizard of Oz’. No other fantasy film captured the audience imagination like that until the ‘Lord of the Rings’ saga. The Oz books are no less enthralling. There are 14 of them written by Frank Baum. Due to its popularity the series is being continued even after his death. But I wouldn’t really consider them part of the series. One fascinating aspect of the OZ series is its independence from any kind of Tolkienian influence. Understandably so given the fact that Tolkien must have still been at his nursery when the first Oz book was published. Most of the post Tolkien fantasy finds it difficult to go beyond elves, dwarves and goblins. The most endearing aspect of the Oz series is the gradual unraveling of the myriad of wonders of the Land of Oz. We travel to curious regions in the hinterlands of Oz and meet their equally curious inhabitants. We are introduced to races such as ‘The Flatheads’, ‘The Cutenclips’, ‘The Living Utensils of Utensia’, ‘The Fuddles’, ‘The China People’ and many others. 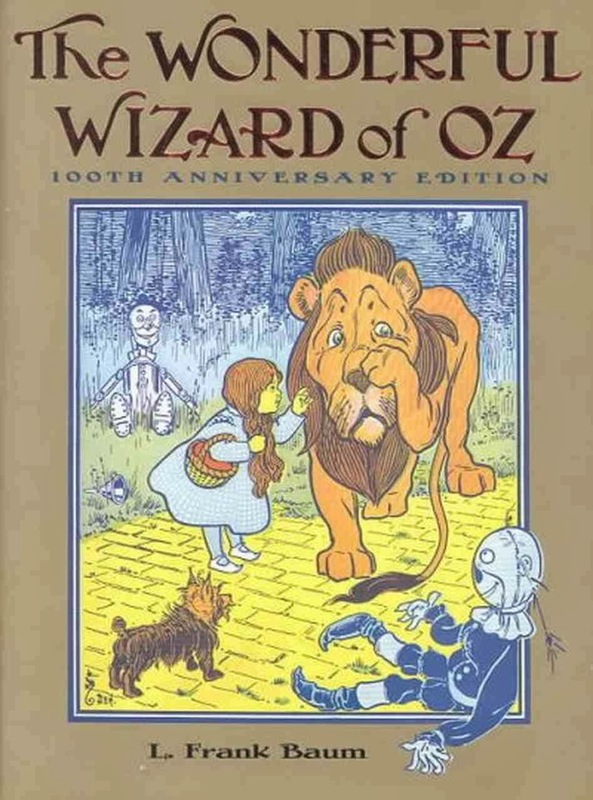 The books also has an element of myth, with each new book revealing more about the history of the land of Oz. Most of the Oz books are structured on a quest framework, wherein a fellowship is formed and travels to distant lands to accomplish a quest. Strange lands and their denizens are introduced as part of adventures encountered by the fellowship en route to the quest. The quest presents some intriguing challenges. The fellowship manages to overcome the challenges through a combination of courage, team work and innovation. The character of protagonists and their relationship usually evolves as a result of these experiences and finally there is a happy ending. This particular aspect does not come out really strongly in the Oz series. Each character has his or her own idiosyncrasies which they retain throughout and all the members of the fellowship are just good friends. However there is definitely a happy ending as a result of which all characters live happily till the nest book. The series also has the popular good versus evil theme. But it is all laid out in black and white. A deeper exploration of values and ethical conflicts is definitely missing. Usually fantasy provides a fertile ground for exploration of value systems in an unbiased manner independent of the noise arising out of inbuilt prejudices due to the social engineering. But Frank Baum stays clear of this area. He is clear as to who his audience is and what he wants to achieve. Children are his audience and he wants to entertain. That he does well. Overall I would say nothing like a dose of Oz to come out of one’s blues. Just go on a happy go lucky quest in the wonderful land of Oz and have fun. Coming up next Tuesday: Narnia Series. Oz is more a fairy-tale construct than a fantasy construct TF! So, it does depend on black-an-white concepts for good and evil. But it is more interesting than typical fairy tales. It has a proper story line. Good to know, Maniparna. My review of children's books is helping me find lot of kindred souls. It is one film that I admired so much as a kid with actual people acting in it. The sequel Oz returns did not catch my fancy as this one did. Yeah - the original one had a magic. But I did not find sequels too bad either. This is one series that escaped my attention in childhood, despite my awareess of the promises it holds. I expect to make good my loss. Thanks for the fine overview. Recently they have released complete Oz series in 4 omnibus editions. Maybe you can pick it up. Yes, Kokila. There is a whole series of books - it comes in 4 large omnibus editions.